The ending of the Fiesta Sunrise episode of Gordon Ramsay’s Kitchen Nightmares shows the owners of the restaurant standing outside the building after their grand reopening. Gordon had just surprised them by revealing the new sign the Kitchen Nightmares crew had put up in place of the leftover and faded Grill 303 that was there before. Sigh, I suspect the fact that Gordon Ramsay ever had to say that last line to the owners of Fiesta Sunrise Mexican restaurant represents why the restaurant eventually had to close down for good. Someone on the Yelp reviews page for Fiesta Sunrise linked to the Google Maps street view of the building as it looks now. 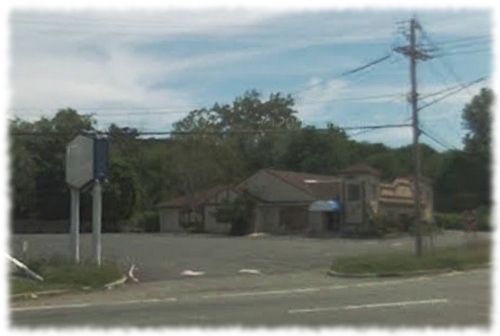 Considering how slow the business was the empty parking lot is probably not that much of a change, but gone also are the staff and family of owners that invested so much hope in what would happen with the restaurant. 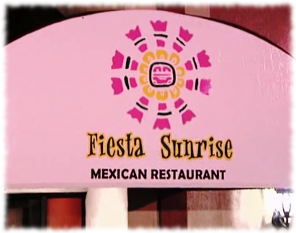 The smiling sun of the Fiesta Sunrise logo is gone as well…that is unless Vic has opened up yet another restaurant and is reusing the signs like he did with the menus.